Guide the academic, career and emotional development of today’s youth. The Counselor Education program focuses on preparing school counselors in the K-12 setting to be leaders, advocates, collaborators, and systemic change agents in schools. Upon graduation, our students are competent in promoting the academic, social-emotional, and career development of students through comprehensive school counseling programs in K-12 schools. The implementation of such comprehensive programs are data-informed and student- driven, and focus heavily on addressing individual and systemic barriers to personal development and educational achievement while advocating for equity, access, and justice in K-12 schools. Student diversity within Charlottesville and surrounding school systems is advantage for internships, and provides both city and rural experiences. Excellent location of Charlottesville area and close to Washington DC, and part of the energetic UVA environment. Assistant Professor Blaire Cholewa discusses new findings that raise doubts about the benefits of in-school suspension. "This program has enabled me to discover and develop my passion for strengths-based student development." Faculty members share how counselors lead the way in helping students discuss difficult subjects like terrorism and violence. Hold a baccalaureate degree from an accredited college by date of entry. Have a B average or better for the last two years of undergraduate study. Submit an application for admission (including a $75 non-refundable application fee) and unofficial transcripts of all previous undergraduate and graduate work. Once admitted, official transcripts will be required. Submit unofficial GRE test scores that are no more than 5 years old; however, once admitted official scores will be required. Our institutional code is 5820. Submit at least two letters of recommendation from professionals who can attest to the potential of the applicant to succeed as a graduate student and professional counselor. Submit a written statement of professional goals and reasons for seeking admission to the masters program in school counseling. (typically 1 to 2 pages). A writing sample is not required. Meeting these minimum criteria does not guarantee admission. All application materials must be sent directly to the Curry School Office of Admissions - please do not send any materials directly to the department. Applicants are responsible for ensuring that all required materials are submitted by the deadline. Incomplete applications will not be read and may be cancelled if left incomplete. Materials should be tracked using the checklist in the application. If I had a different major than psychology (and related fields), could I still apply to the counseling program? Yes, you may apply if your undergraduate degree is in a field other than psychology. Your personal goal statement should reflect your career or goal shift and include a brief explanation for your change of direction. How many students are admitted into the program? We typically admit a cohort of 20 to 30 students. Cohort size is determined by the quality of the applicant pool and the CACREP-established faculty-student ratio limitation. The application submission deadline is January 5. Admission decisions will be available 6 weeks after the deadline. Selected candidates will be interviewed in Charlottesville on February 1, 2019. Invitations for interviews are issued via email in January. All master's students in counseling are required to take 34 credit hours of course work in eight foundational areas specified by CACREP. Students must also take 24 credit hours of courses specific to school counseling. In addition, student complete a 100-hour school-based practicum and a 600-hour Internship placement. Practica and Internships are complemented by course seminars that allow for group supervision and case discussions. Students take a comprehensive examination near the end of their program of study. You can transfer up to 6 credits of graduate level courses taken at another university. The courses must be equivalent to courses offered in our program. Your faculty advisor reviews the syllabus and transcript to decide whether a course is equivalent. Course credits may be considered for transfer that are (1) credits from a recognized graduate school completed within the preceding five years, (2) of at least B grade, and (3) directly related to the student’s graduate program and approved by the student’s advisor. Practice-based courses such as Essential Counseling Skills, Practicum and Internship cannot be transferred. At the school and departmental levels, master’s students are encouraged to speak to their advisors regarding potential paid positions on grant-funded projects at the Curry School and throughout the University. For those who qualify, America Reads is a unique work-study opportunity at Curry. Other opportunities for master's students include graduate assistantships in the Counselor Education program and Sheila Johnson Center. Students have also held relevant positions in the Athletics department, Housing & Residence Life, and Financial Aid. This program is designed for full-time students so that they can complete their studies within two years, typically earning 12-18 hours in each regular semester. Starting in August, the student will enroll for four semesters of coursework and graduate in May of the second year. This is a full-time program with no online classes. 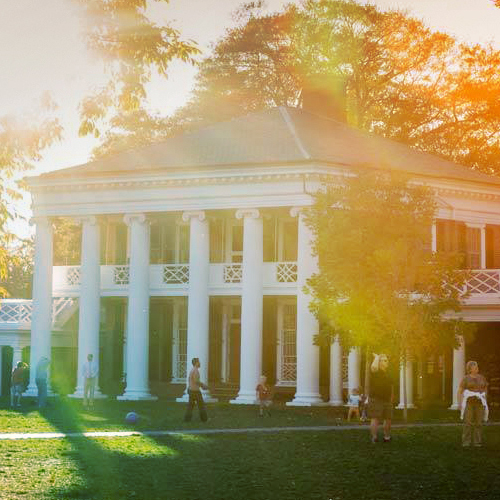 All courses are offered at the UVA main campus in Charlottesville and are classroom-based with varying methods of instruction employed (e.g., large and small group discussions, project based learning, lecture, etc.). In addition, to provide the opportunity to perform the activities of a school counselor, the Practicum and Internship courses require the students to go to an off-Grounds school in the surrounding area. The program meets the pre-degree academic and internship requirements established by the Commonwealth of Virginia State Department of Education for licensure as preK-12 school counselors. Typically 12-18 hours in each regular semester, spring and fall, in addition to summer course work. Practicum is part of the first spring semester. Your second year is also a year of internship at a school, working under the supervision of a professional school counselor. Maintain a 3.0 while in the program. Obtain at least a B- in each course for degree credit and satisfactory (S) grades in practicum and internship. Successfully meet the Curry School of Education and Human Development's comprehensive examination requirement. Successfully meet the Key Professional Disposition requirements of the Counselor Education program, which are evaluated at the end of the first three semesters. You do not need a teaching license to become a school counselor in the state of Virginia. A Counselor in a public or private school is the desired career outcome unless you plan to continue your studies and do research or teaching with a PhD. Most graduates of the School Counseling program are employed by school systems (public or private, elementary, middle and high schools) to work as School Counselors. The staff members of the University Career Services Center assist students in seeking professional positions as they near graduation. Services available through the Center include resume and portfolio preparation advice, job listings, and interview coaching. Students should also tell the Counselor Education faculty members when they are looking for professional positions. If faculty members know students are searching, they will assist them in any way possible. In addition to writing letters of reference, professors often learn about job leads through informal communication with their colleagues. The professional friends and associates of faculty members can often help students find the positions they are seeking. Our mission is to prepare ethical, culturally competent school counselors who address individual and systemic barriers to educational achievement and personal development in the context of a comprehensive school counseling program. Our graduate students will demonstrate a commitment to advocate for their PK-12 students, the systems in which they live and work, and the school counseling profession. Upon graduation, our students will be competent in promoting the academic, career, and social-emotional development of students from diverse cultural backgrounds. Our students will demonstrate competency in the development, implementation and evaluation of a comprehensive school counseling program. The Counselor Education program area at the Curry School of Education and Human Development is CACPREP accredited. All master's degree students in counseling are required to take 34 credit hours of core courses in the eight foundational areas as specified by CACREP. In addition to the core courses, students must take 24 credit hours of courses specific to their area of specialization (e.g. School Counseling). 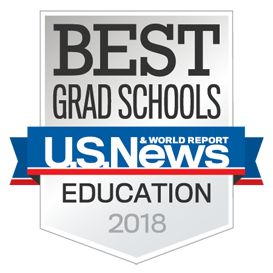 The University of Virginia Counselor Education Program, School Counseling Specialty Area is fully accredited by the Council for Accreditation of Counseling and Related Educational Programs (CACREP) through October 31, 2019. The program will comply with CACREP’s policy and standards in order to maintain this accreditation status through that date. Any substantive changes will be made known publicly and reported directly to CACREP. Professional associations are vital to the productive professional life of counselors. Faculty members expect students to join appropriate associations. Membership dues are usually less for students, and members receive professional newsletters, journals, announcements of professional activities, updates about federal legislation and policies that have an impact on counseling services and on professional counselors, and opportunities to network. In addition, members are offered professional liability insurance at reduced rates. Application forms for the American Counseling Association (ACA) are available through ACA. ACA also has a number of divisions that focus on specialty areas (e.g., counselor education and supervision, group counseling, mental health, school, assessment, creativity in counseling, spirituality). You may access information about ACA and its divisions at: http://www.counseling.org. You may also contact ACA at 5999 Stevenson Avenue, Alexandria, VA 22304-3300; or 1-800-347-6647. The Virginia Counselors Association (VCA) is a state branch of the ACA. Similarly, the Virginia School Counselor Association (VSCA) is a state branch of the ASCA. These are excellent ways to learn more about our profession and to become involved in issues and activities that can influence the delivery of counseling services in Virginia. You can learn more at www.vcacounselors.org and www.vsca.org. Each year the Counselor Education program collects data from program graduates, employers of graduates, and site supervisors, as well as monitors student learning outcomes. The program faculty review this data and use the findings to inform program modification and curriculum changes with advisement from the Counselor Education Advisory Council. Below please find the links to the annual reports.